This month the Fringe is proud to support several events around town including the return of Meant to the Milk Crate at The Cobra in East Nashville! 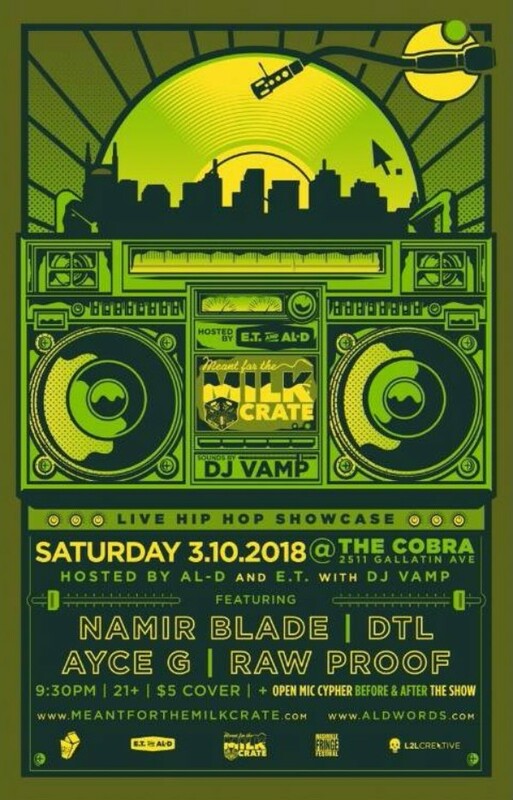 Saturday, March 10: Meant for the Milk Crate at The Cobra, featuring Namir Blade, DTL, Ayce G, Raw Proof, and DJ Vamp, hosted by AL-D and E.T., with an open mic cypher before and after the show. 2511 Gallatin Ave, Nashville / 9:30pm – 21+ – $5 Cover. 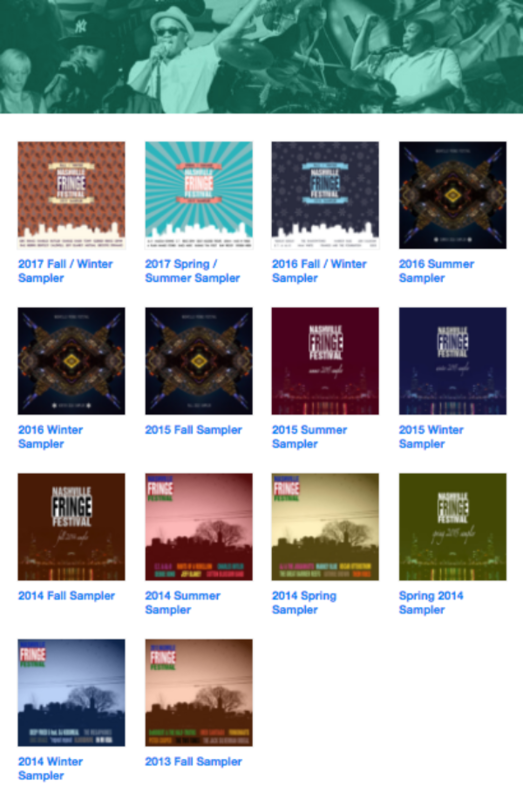 All FOURTEEN of the Fringe's free seasonal soundtracks are now available for streaming or download via Bandcamp. 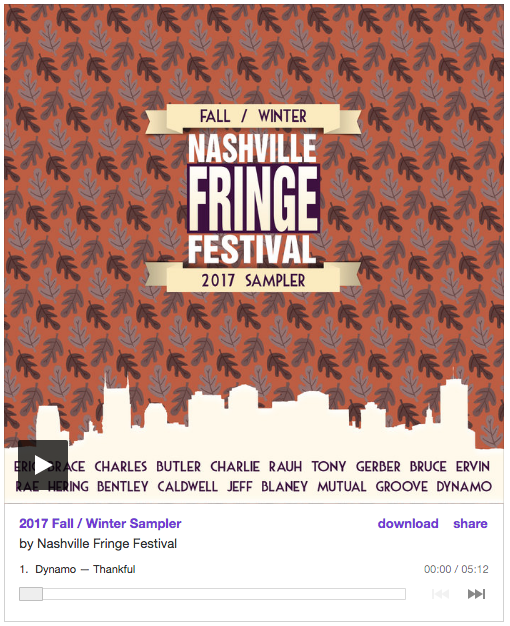 Click through here to listen to OVER ONE HUNDRED tracks from Nashville artists. In case you missed it, our most recent seasonal sampler is available as a free download - featuring ten tracks showcasing an eclectic range of the city’s talent. This time around the lineup features contributions from: Dynamo, Charlie Rauh, Charles Butler, Jeff Blaney, Eric Brace, Tony Gerber, Rae Hering, Bentley Caldwell, Bruce Ervin, and Mutual Groove. Download the album as a free zip file (warning: nearly 100mb), or click the player to stream/download the album for free via Bandcamp.